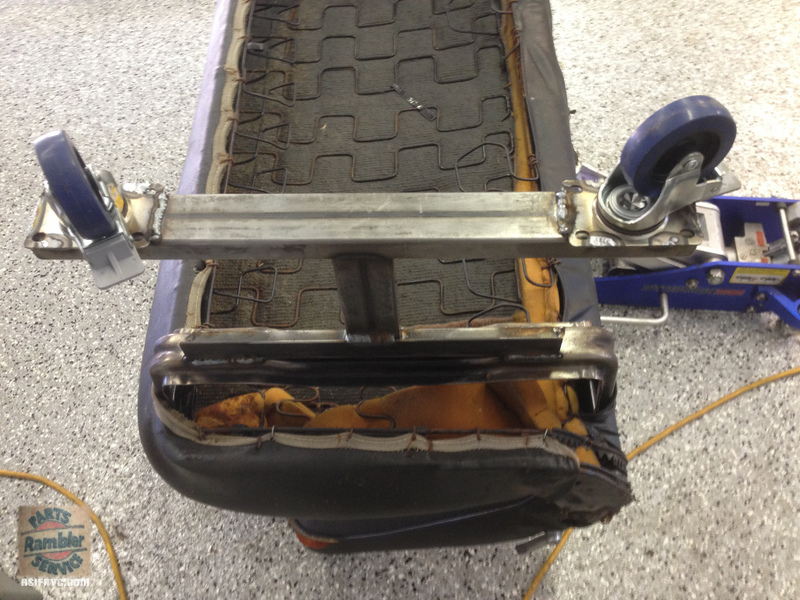 Shop Talk – Gremlin Bench Seat! 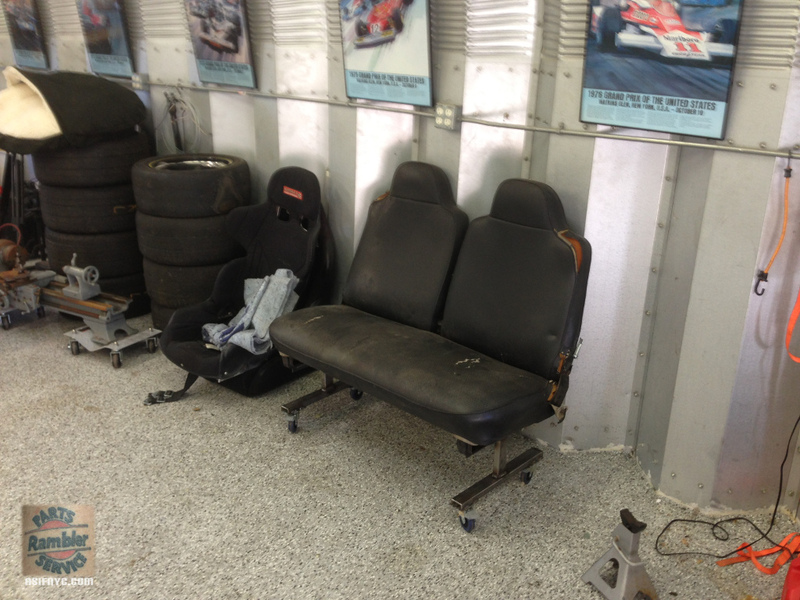 I had pulled the Gremlin bench seat out of the track gremlin and didn’t know what I was going to do with it. I knew I was never going to put it back in a Gremlin but I didn’t want to just take it to the dump. Then it hit me. Slap some legs on it and make it a SHOP SEAT! So that’s what I did. Picked up a 10 ft. stick of 1×2, some angle iron and four casters from Harbor Freight. Maybe an hour of time to cut and weld and voila! An AMC shop seat that rolls! Can you tell I’m quite pleased with myself?